Sarah lived in Les Ecrennes, France for many years where she worked as a foreign language teacher and raised her family. Mornings she biked to a village farm for milk to make yogurt. The romanticism of the French countryside imprinted itself deep in Sarah’s being—wild herbs in the air, an earthy breeze, and a basket full of jars of fresh milk were a regular routine. After returning to the States, Sarah’s French connection remained. She taught middle and high school French and later bought an 1848 farm with her husband, Gary. Together they fixed it up—wide wood floors and a cookstove reminiscent of her Les Ecrennes days. 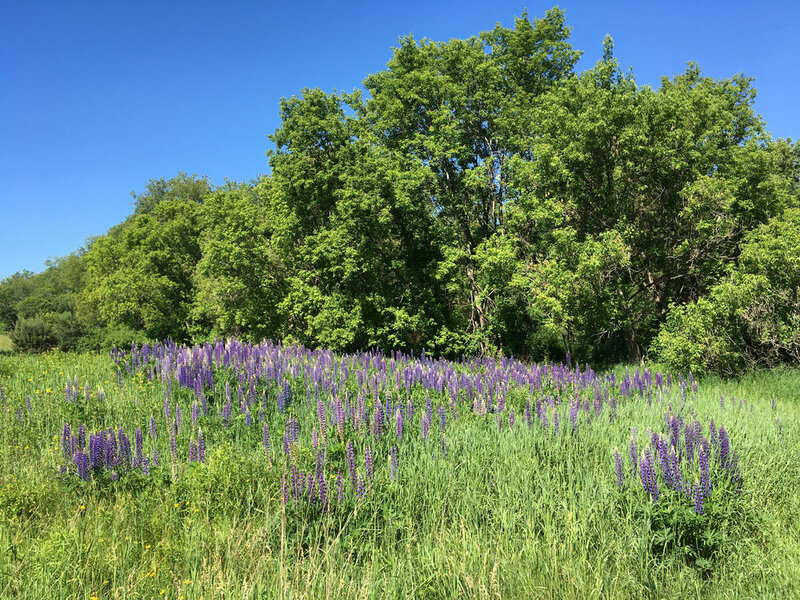 Outside, heirloom stone fruit trees flourished alongside a field of wild lupine, and nearby great oaks shade the farmer’s porch. It is here that Sarah made her first cheese. She drained it right over the kitchen sink, then aged it in a spare unused, unheated room. Her experiment was a delight and soon overtook the kitchen. The cheese was so good! And there were so many more ideas percolating! So in 2008 Sarah and Gary built a creamery in the annex off the kitchen. This farm was homestead to the Day family for over 150 years. To pay homage to them as caretakers and preservers of this lovely property, Sarah named the creamery Spring Day—an honor to the old, the new, and how they blend today in the form of cheese. Spring Day Creamery has a cheese room, a small cheese vat, two aging rooms, solar powered electricity and hot water, and a line of windows overlooking the orchard filling the room with natural light. Sarah makes 4,000 pounds of cheese each year here—small hands-on batches, very experimental, letting all the forces of nature do their part. Each generation of cheese is unique. Change one variable in the make and it is a different cheese. In France, a cheese board is often passed around the table to finish a meal. Some cultures begin with it. Whenever you choose to eat your cheese course, pick a local one.